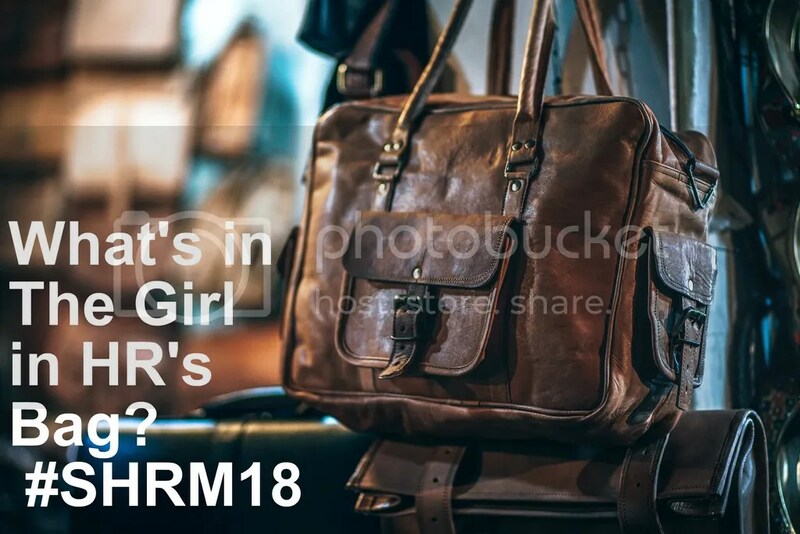 If you’re heading to this year’s annual SHRM conference you’re probably packing or have just finished packing your bags. Generally, when traveling, I try to travel light — and if I forget something, if I’m in the US, I can generally do without it or replace it easily. But I try not to have that attitude completely when going to a conference because there are several items I know I’m gonna want to have (and I generally leave them in my carry-on so that I have them with me whenever I travel). No matter what time of year the conference is, I almost always find that the event center is too cool for my taste — so I always try to dress in layers. My general go to is a denim shirt — it goes with EVERYTHING and I can dress it up or down (but let’s be serious, I work in tech and I’m ALL about comfort — so I’m dressing it down, but still look kinda put together). I’ve also used a large scarf which I wear as a scarf or can use as a wrap (a trick I picked up from my 30 day wardrobe challenge days). Whether its a yoga hoodie or pull over, you’ll appreciate having the option to cover up if you want to. I have experimented with all types and prefer ones that I can throw over my shoulders, waist, or even into a bag -so light weight and easy to roll up . Its easy to get dehydrated at conferences — so I always bring one with me. I can generally find water pretty easily — and this way I don’t have to worry about wasting a cup or recycling a bottle. I actually don’t use a water bottle anymore but opt for a cup with a lid so that I can use it for other beverages. Its easy to throw in my bag or backpack bottle hold. Most places are pretty good about providing filtered water. This is a habit that I got when I went back to work after my maternity leave and I was struggling to stay hydrated – I’m not sure why, but if I have my reusable cup or water bottle with me — I just take in more water. And trust me, you’re gonna want to stay hydrated while at the conference! Okay — I bet you’re giving me some serious side eye here — A portable blender — seriously?!?!? I find that I’m not always eating my best at conferences or events — so if I have my blender with me I can at least throw together a quick smoothie or protein drink. Most hotels have fruit to use, or I pack a protein or veggie powder — I try to get one in the AM and take one with me to go. I use my reusable insulated cup — or sometimes I have a blender bottle that I’ll use and put the protein powder in there to make during the day. The small blender is super small and I think it was like $15 at Target — it packs easily and doesn’t take much to clean or just pack the blender bottle. Even though its small, if I’m challenged for space (or gasp, forget it — it is the one item that I take out to wash and use at my office) I’ll pick up some protein bars. Its not hard to find food, but not always the healthiest so I try to plan ahead a bit. Plus conference days tend to be long – so good to have an option. This goes without saying right? Most conferences are getting better with providing power stations for attendees — but why not plan ahead for it. They are super small and way affordable now. I leave this in my travel bag and then charge it in the airport or at the hotel and its ready to go with you to the conference! .. because who wants to mess with their hair? Not this girl — especially since I’ve started my natural hair journey and went back to curly hair! Uuugghhh — and dealing with all those bottles of products and styling tools. No thank you if I can get around it. Ironically these are the items I almost ALWAYS forget! I try to keep a couple clippies or headbands in my bag and its easy to throw a cap in there too . The expo hall could be a place to find a cap –but its a chance that I’d rather not take. I did get a tip from a fellow HR Blogger that she gets a blow out right before her conference and with care, she can make it last for 3 or 4 days — so I’m gonna give that a try this year! So what’s in your bag or suitcase — what are your conference must have? I’m super geeked and excited. The national SHRM conference is quickly approaching and I’m getting ready! My blog over the next few weeks will be primarily, but not entirely, related to activities and experiences that I had in Chicago at SHRM 2013. Just wanted to give yall a heads up! Today on the agenda — I’m picking out what sessions I want to attend and what vendors I want to scope out.. and I’m looking forward to re-connecting with some of my friends from around the country! I’m a planner, what can I say! I’ve even got a map of my location and planning out possible activities and things to do and see. I mean, I don’t want to plan out EVERYTHING, but I want to be prepared. Also — what to wear. Don’t roll your eyes — I know what you’re thinking “Of course the girl is thinking about what to wear… ” Well you’re kinda wrong in your base assumption. My daily threads are pretty casual — like flip flops (despite my research and own blog, I still haven’t given them up) and tshirts kind of casual. I want to be me and comfy, but maybe not so dressed down. Sneakers are a must — I might leave the flip flops in Texas since I think that all that walking and flip flops are a bad combo. How do you prepare for a conference — and how much thought to you put into what you wear? Do you plan out what vendors and sessions you want to go or do you just wing it? So last week was the start of conference season for me — I had a great time at the South Texas HR Symposium #STXHRS and made some GREAT connections and heard some amazing sessions! I average 3-4 conferences a year and try to to go to a number of webinars or local meetings as well (gotta keep up with my continuing ed right!?!!?). This was the first year that I’ve been on a chair for a conference and I learned SO much! … but it also got me thinking — what are some things that I wish were different about conferences. Okay — I know about early bird registrations and corporate rates for companies that send a certain number of people — but wha t about a true loyalty program for those people who come back to your conference again and again. Take a page out of the retail book and find a way to reward the INDIVIDUALS who support your conference time and time again. Sure these are probably the same folks who sign up for the early bird even before all the details are released — so they are getting a good deal — but how cool would it be to have some kind of recognition or reward program for those who come back again and again (and maybe even bring their colleagues with them). Don’t want to knock off any more money — maybe give them a special name badge or VIP area — or special lunch. 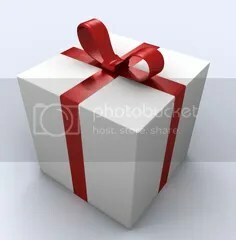 Just a little something to say “thank you for your continuous support.” Maybe its a silly idea — but then again, I’m the gal with a wallet and key ring full of reward cards — I LOVE ‘EM! … and give me a cool reusable bag. Let’s face it, I don’t need another briefcase (I probably already have mine with me — and no matter how great the logo is on yours, I’m not going to swap mine for the one I got). What I could use another one of — a great eco friendly tote. I am an Austin hippie and tree hugger so I don’t go anywhere without my bags — and I have closets and drawers full of them. The conference bags are great for the conference for holding papers and other goodies — but then what do you do with it? I’m likely going to donate it to a charity or school (what do you do with yours? ), but not sure that its really sturdy enough for school books. 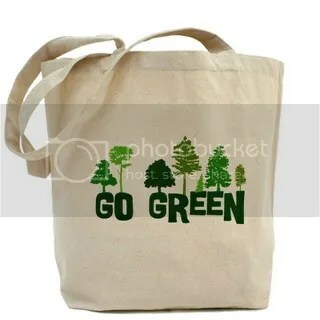 Now a days there are SO many options for bags that can be used for the conference AND beyond. Hey, you probably have a sponsor who is paying for their logo to the on the bag, might as well put it on something that people want to use after the conference. I’ve gotten some cool small bags that work well for lunches and even a duffel that was perfect for the gym — and a ton of others in between. If I get a few of these at a conference and bring the swag back to the office, these are always some of the first things to get snatched up (right behind t-shirts). So this is a gimmie in this day and age (I mean, McDonald’s has free internet)– and I know that it can be expensive to provide at some event centers, but let’s face it — people want to be connected — and they want to connect with you (or whoever)! I want to tweet, blog, take/send photos, check my email, connect with you on LinkedIn — kinda hard to do without a great wireless signal. Many folks have 3G or 4G or can make their own hotspot — but many people don’t. It’d be a great addition to have an awesome, reliable, strong, wireless signal. 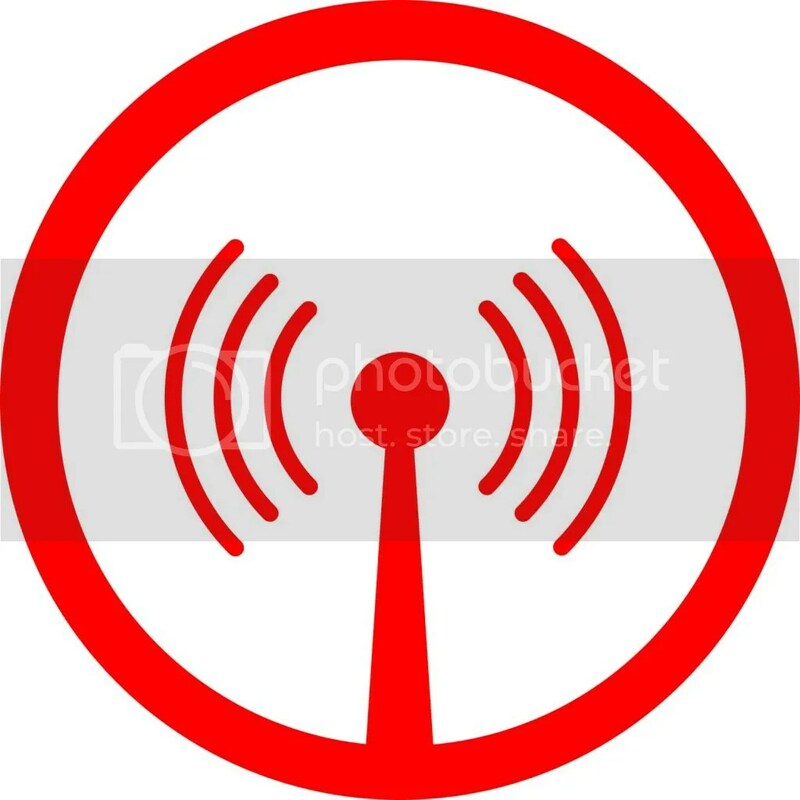 If you don’t have the resources to get wireless everywhere, consider having a publicized wireless spots/areas. And on a related note, publish or post your event hashtag and encourage your speakers to publish or post their hashtags or twitter handles or other soc media contact information. Yes I get that not everyone is into it — but those who are (and want to help spread the message to others) would really appreciate it. I promise you, I’m not ignoring you, but multi-tasking 🙂 — taking notes and sharing ideas/streams of consciousnesses with others. Don’t get me wrong – I LOVE going to conferences — I love the information and energy — but just a few ideas that I had — and you know me, this girl always has an idea and an opinion to share. What do you think — what are some of the things that you wished that conferences did that many of them don’t do?